Lemon Diesel is a slightly sativa leaning hybrid with a flavor that has been likened to citrus, diesel and pepper, with effects that can "sneak up" on its consumer. The Lemon Diesel Strain is known famously for making the person who uses it feel uplifted, happy and downright stoned. 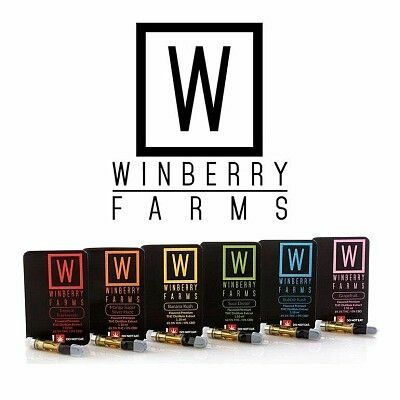 About Winberry Farms: One of the first recreational cannabis farms to be licensed by the state of Oregon, Winberry Farms was started by friends and their families. Specializing in naturally sungrown product from quality genetics, their flower is expertly cultivated, perfectly cured, and farm fresh squeezed to you - and always grown with organic process and fertilizers. Their farm is located in the Southern Willamette Valley 30 miles southeast of Eugene, nourished naturally by the waters of Winberry Creek. These cartridges are pure full spectrum CO2 cold pressed cannabis oil with no PG, VG, or MCT cutting agents housed inside a Pyrex glass tank C-Cell Technology (Ceramic Wick-less firing system). Along with that the top is a porcelain mouthpiece and all are reusable/refillable.